Lambda's Radio Engineers are approved by the Ministry of Economic Development to provide radio licence engineering certification. 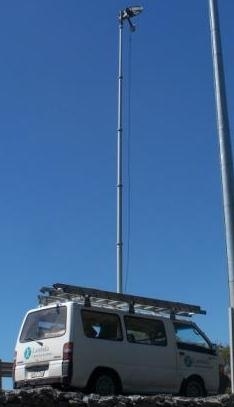 We have undertaken work in fixed and broadcast spectrum licencing, fixed and mobile land radio. Much of our recent radio licencing engineering has been for clients applying for access to the new Managed Spectrum Park (MSP) 2.5 GHz band. The Ministry of Economic Development is responsible for providing policy advice to Government on the allocation of New Zealand's radio spectrum, and administering the Radiocommunications Act 1989 and supporting Radiocommunications Regulations 2001. Management rights regime. This is the standard approach for high value spectrum where there is strong interest in providing a national service. Management rights or spectrum licences under Crown-owned management rights provide users with a time-limited, exclusive property right over spectrum. Allocation is usually by auction. Radio licence regime. The majority of New Zealand’s spectrum is administratively assigned as radio licences. Radio licences are issued for a set period, subject to the payment of annual fees. They are normally allocated on a first-come first-served basis and are not inherently tradable. General user licences. General user licences permit the use of specified spectrum with no requirement for individual licensing or fee payments. These licences have technical restrictions but are non-exclusive and do not provide users with any protection from interference. Both General radio licences and General spectrum licences are possible. Most types of spectrum and radio licences require engineering certification by an Approved Radio Engineer (ARE) or an Approved Radio Certifier (ARC). Licences engineered by an ARE or ARC are subject to annual licence fees payable to the chief executive of the Ministry of Economic Development.